Did you know that research shows you flirt in specific ways with cuties you’re attracted to when ovulation comes around? It’s true! 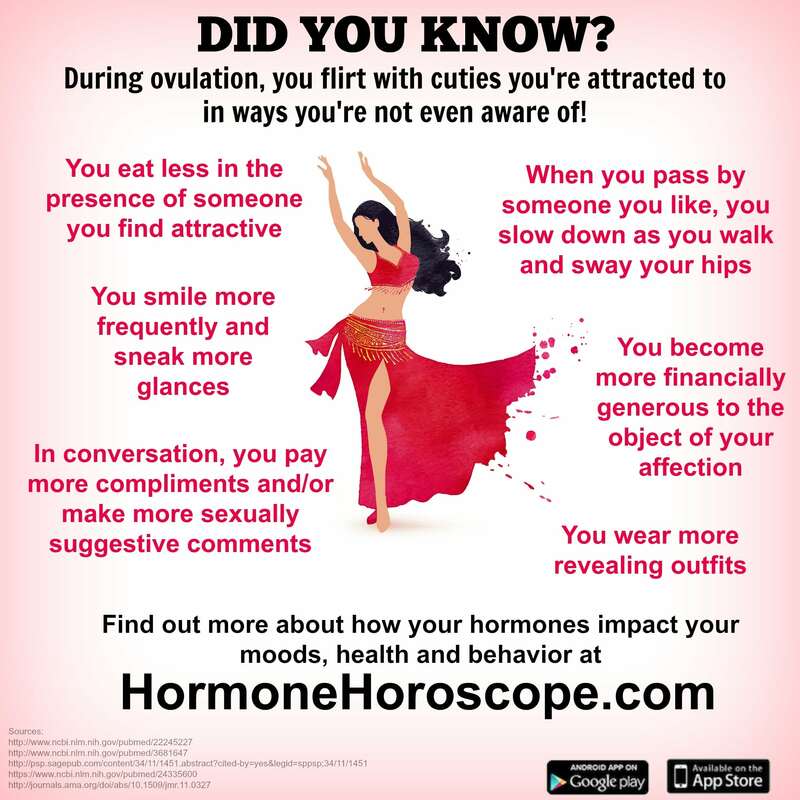 That’s because high estrogen wants to do all it can to up your chances of creating a love connection during the fertile phase of your cycle. And, apparently, it knows quite a few effective ways to get folks to look your way.